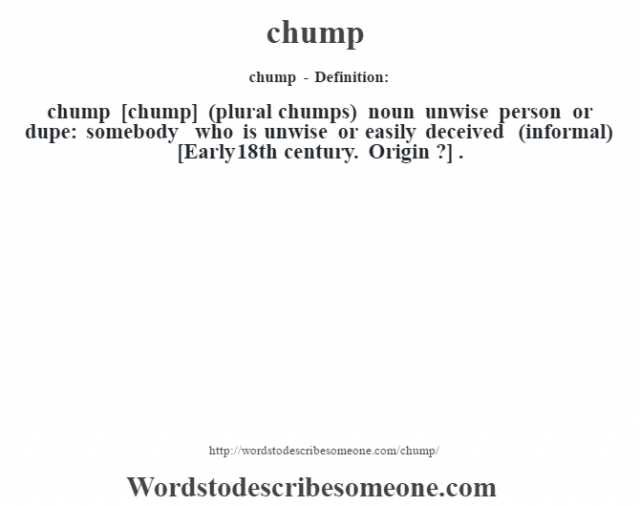 chump [chump] (plural chumps) noun unwise person or dupe: somebody who is unwise or easily deceived (informal) [Early 18th century. Origin ?] .